A rectangular coffee table that makes an impression, the Dalton Rectangular Coffee Table from Sunpan's Club Collection features a style that is all its own. This coffee table includes a superb finish that can help you bolster any room's d�cor instantly. Furthermore, the coffee table features a deluxe stainless steel frame and consists of high-quality materials, offering the perfect blend of elegance and functionality. 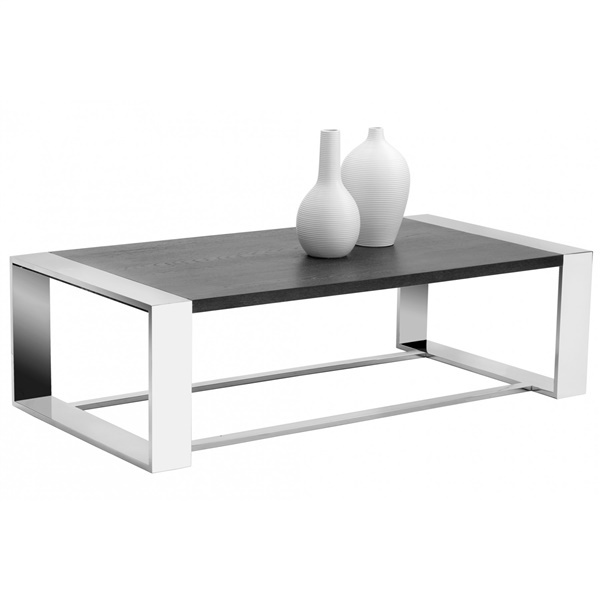 Improve any room's d�cor with a stunning coffee table -- the Dalton Rectangular Coffee Table. Stunning finish helps the coffee table make a distinct impression in any room. Consists of high-quality materials that ensure the table is built to last. Includes a deluxe stainless steel frame that provides steady support. Blends elegance and functionality, making it an ideal fit in homes of all shapes and sizes.